The Wicked Cake Company is celebrating Nutrition & Hydration Week from 12th – 18th March 2018! Nutrition and Hydration Week aims to improve the quality of nutrition and hydration across the health and social care sector and in recent years has seen this challenge grow globally. 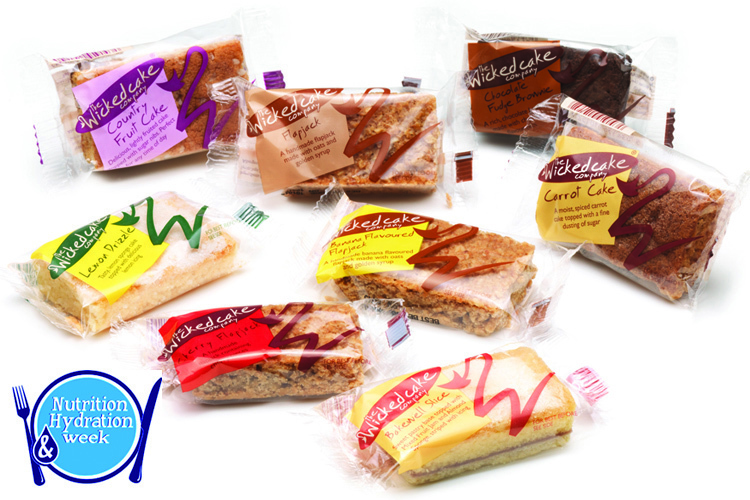 The Wicked Cake Company seeks to help enhance nutrition across the Health & Education sectors through our Portion Control Cake range which was specifically developed for NHS Patient feeding where calorie and protein balance is important. Portion Control is our Cake of the Month for March 2018.